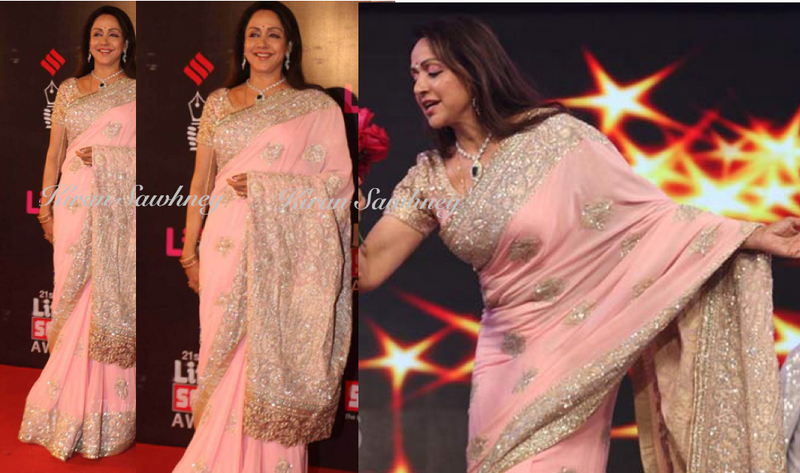 Hema Malini was at the Screen awards. She wore a heavily embroidered pink sari with which she wore an emerald necklace and earrings. We are not too fond of the sari but Hema carried it very well. We will score her considering her age and grace.